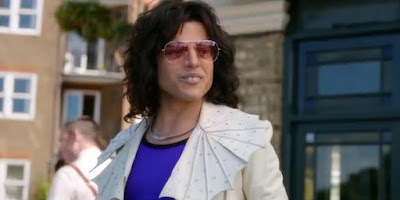 Bohemian Rhapsody may have won a bunch of Oscars, but let's keep it real; it's not a very good movie. Not terrible by any means, it's just...adequate, but afflicted with loads of problems. When editor John Ottman won an Oscar for his work on it, Film Twitter pretty much had a coronary. One scene in particular was provided as proof of the movie's problems and Ottman's failures. Doubtful I'll ever watch an extended cut of Bohemian Rhapsody, but I wouldn't be shocked if Ottman gets his wish.